Never more important than NOW. Be safe off the highways wherever possible and use your bridleways. Developments are being built closer to existing rights of way and quiet lanes are being used as regular traffic thoroughfares which will force riders to make better use of our network of bridleways and byways for continued hacking pleasure. you will be helping to ensure the future use of all Bridleways and byways in your area. 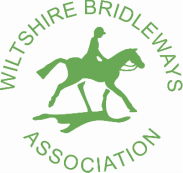 contributing to fund future legal action to prevent bridleway closures in Wiltshire, and to top it off, feel great about supporting this vital work to protect the future of our Wiltshire rights of way! Rosie Pack who can send you a copy of the form in the post. Sign Up Here for News & Events Emails! We send to our supporting members, a regular newsletter by post or ideally email (costs saved). Become a member and you can be included in our newsletter distribution list too! Can you offer us any assitance? Obviously if you can encourage other local riders to become supporters that would be great! Local riders are brilliant for monitoring the bridleways for problems or suggest new routes. Perhaps you could become a parish rep and let us & your parish council know about routes in your parish every so often. Could you collect local rider information or historic route data? Would you like to adopt a bridleway? Would you be able to offer time to research Rights of Ways? Could you contribute to decision making or attend meetings to support petitions? Would you be able to nettle bash or clear routes - we all can do a bit of face height branch bending and snipping as we go! Perhaps you could be a commitee member in the future? Taking part in our pleasure rides both adds funds but we hope also can enable you to spread the word about what we do too. If you are not curently riding could you offer help during pleasure rides for way marking or number allocation? Can you suggest a pleasure ride route?